BOISE — Thousands of people across the United States and Idaho celebrated the life of Martin Luther King, Jr. with a national day of service, through service projects and volunteering at local non-profits. 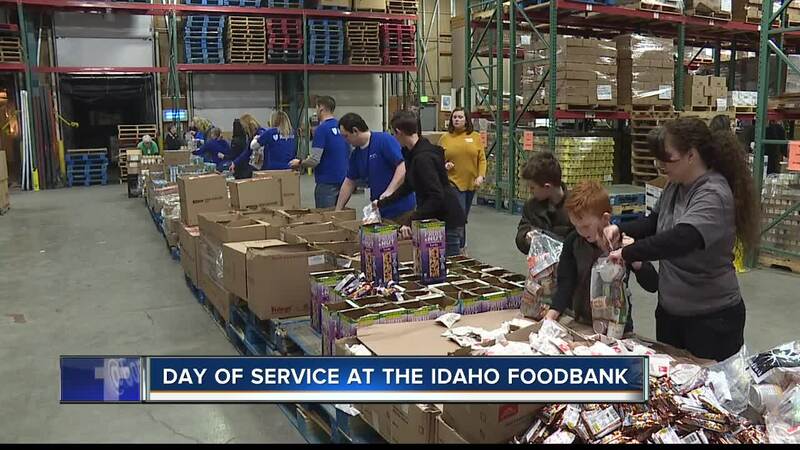 The Idaho Foodbank hosted a volunteering event with companies and organizations and more than 150 people, to fill over 6,000 backpacks for The Idaho Foodbank Backpack program. This program currently distributes close to 63,000 packs each school year to 159 schools throughout Idaho. "It didn't even occur to me that kids would go a weekend without food and so, for me, it's a passion just to know that those kids have food on the weekends. It really just brought it home for me," said Sarah Christensen, volunteer. The Idaho Foodbank also hosted this large volunteer day at Idaho Foodbank facilities in Lewiston and Pocatello. Groups that volunteered this year included AmeriCorps, Boise Unitarian Universalist Fellowship, Citibank, The Land Group, Lombard Conrad Architects, Regence and Valley Office Systems.